Experience architect Frank Lloyd Wright’s Usonian design firsthand at The John and Catherine Christian House, commonly known as SAMARA. The home, located in West Lafayette, Indiana, is one of the most complete Wright homes in the United States. “This exceptional Usonian home is one of Wright’s most fully realized projects in that he designed the house, landscape, and also designed or specified all the furnishings, lighting, tableware, linens — even the Christian’s stationery,” said Linda Eales, associate curator. The 2,200-square-foot home was awarded National Historic Landmark status in 2015. 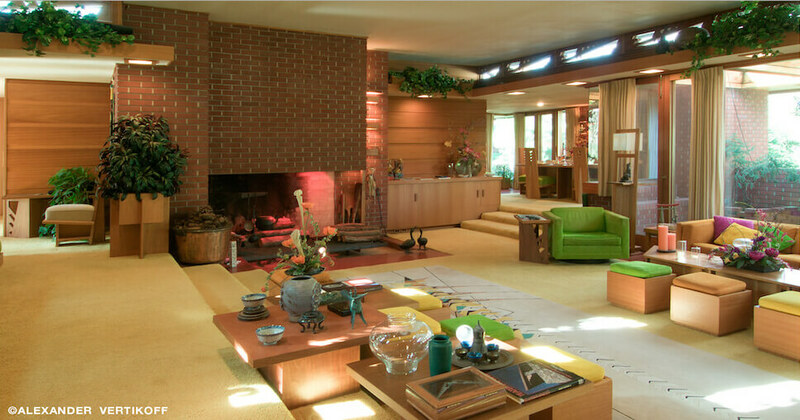 In the early 1950s, Purdue University professor Dr. John Christian and his wife Catherine dreamed of a home that would serve their desire to entertain faculty, staff and students and be a lasting structure that would grow with their family. Research, perseverance and a touch of luck led the Christians to Wright, with whom they built their dream home. SAMARA, named for the winged seeds found in pine cones, was completed in 1956 near the end of Wright’s career. Wright died in 1959 at age 91. At least 40 of Wright’s innovations are on display at SAMARA, including the carport, the great room and clerestory windows as a means of providing light and fresh air. SAMARA is open for tours by appointment from April through November. Public tours generally last up to two hours and include stories of Wright, the Christian family’s personal experiences working with him and how the architect’s philosophies were applied at SAMARA. Tours or speakers addressing a particular topic can be arranged. A restoration of the house is planned this spring. For more information, call 765-409-5522 or visit samara-house.org.